The NFU has slammed the Government’s response to an inquiry which looked at access to labour for farmers and growers, describing it as ‘extremely frustrating’. 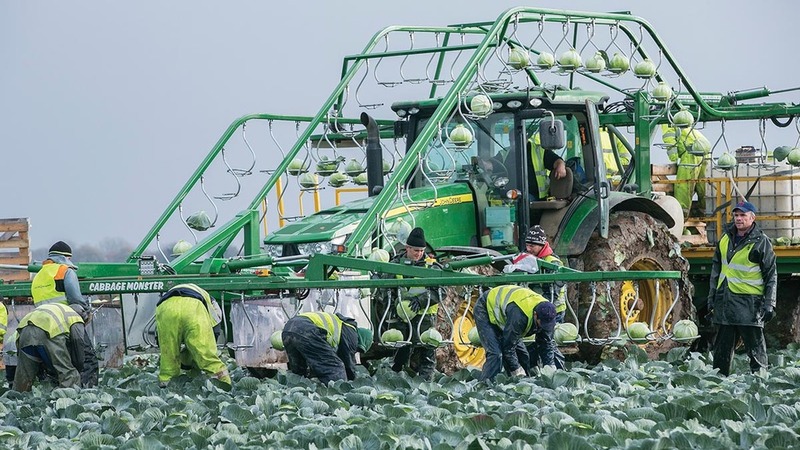 MPs on the Environment, Food and Rural Affairs (Efra) Select Committee carried out the inquiry, concluding the agricultural sector was facing crisis if the Government did not act to ensure workers from overseas could come to the UK. While ‘acknowledging the concerns about attracting and retaining labour’, the Government sought to downplay the problem, citing Office of National Statistics figures which showed employees from other EU countries only made up 9 per cent of the permanent agricultural workforce. Ministers also pointed to the work of the Migration Advisory Committee (MAC), which is considering the UK’s labour market needs post-2021, after the Brexit transition period. NFU Deputy President Minette Batters said: “The Government’s response to the Efra Committee report is extremely frustrating. “The NFU’s labour survey for horticulture has repeatedly shown the numbers of EU seasonal workers coming to the UK are down consistently between 13 per cent and 17 per cent over this summer’s harvest period. “While we welcome the MAC’s review of labour, it has only set out to inform post-Brexit immigration policy. This leaves us with concerns and questions for the coming years pre-Brexit. “There remains a window of time between now and May 2018 for the Government to take action to mitigate a continued fall in the number of EU nationals taking up seasonal roles which we believe will help to prevent significant disruption in the supply chain for fresh produce in 2018. The Government response to the inquiry came shortly after the NFU said it would be ‘taking a different tone’ with Ministers due to their lack of action on the issue. A Defra spokesperson said: “The Environment Secretary regularly meets with representatives from the food and farming industry, including the NFU, to speak about the issues affecting them. “Farming Minister George Eustice recently spoke at an industry meeting specifically focused on future access to seasonal labour for the agricultural industry. It was a constructive discussion about the sector’s experience of attracting workers in sufficient numbers for the 2017 picking season, as well as their expectations for next year and once we leave the EU. The meeting also covered what future support the industry may need to ensure the continued growth and productivity of the seasonal produce industry.